If you are like many family caregivers, you are greeting the new year with the goal of helping your elderly loved one get more active. Physical activity is essential to protecting your loved one’s health and well-being, and to support an overall high quality of life as they age in place. 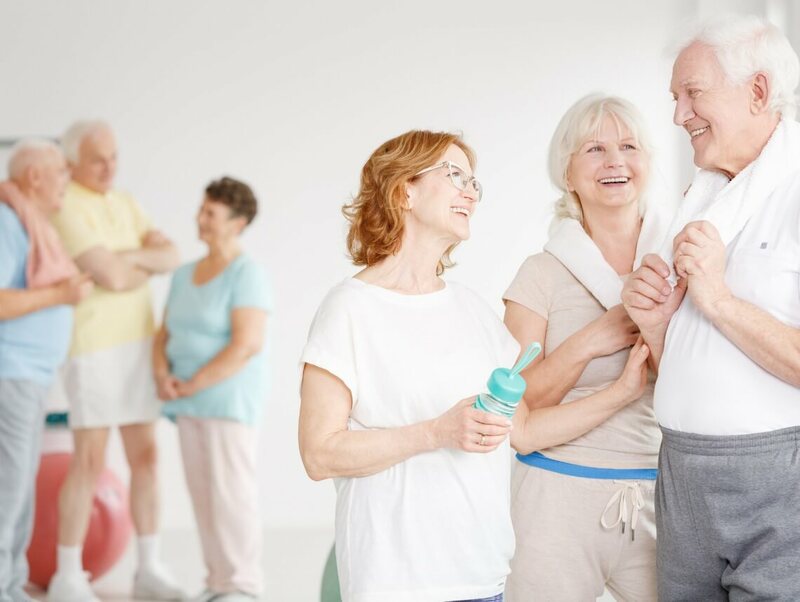 In order for your senior to enjoy the most benefit from their exercise, however, it is important to find the type that is best for them and their needs. For many elderly adults, group exercise classes may be the perfect choice. Regularly interacting with others is an important part of maintaining optimum mental and emotional health and well-being. By integrating regular socialization in their care routine, you can help your parent reduce their risk of depression, anxiety, loneliness, and isolation. This can keep their mental and emotional health higher and increase motivation to keep them taking care of themselves and pursuing their highest quality of life as they age. It is much easier not to comply with physical activity when you are the only person who is doing it. When your senior participates in a group class, however, they have others to hold them accountable. This increases the chances they will get out and keep participating so they can experience the maximum benefits. One of the most important parts of making goals for physical activity is planning for progression. Working toward achieving more and reaching higher degrees of accomplishment are important for keeping their body strong and healthy, and for giving your senior a valuable sense of accomplishment and control. It can be difficult, however, to know how to push your parent to the next level or encourage them to accomplish more. Group exercise classes are designed to provide focused, gradual progression so your loved one does more and works toward higher goals in a way that is safe, healthy, and effective. If you have been looking for ways to encourage your elderly parent to stay more active, get the physical exercise they need, and live the lifestyle that is healthy and fulfilling for them, starting senior care for them might be the ideal solution. A senior home care services provider can be with your elderly parent on a schedule that is right for their needs as well as their care efforts you already put forth for them. This means you can feel confident they are getting all of the care, support, and assistance they need. When it comes to helping them get and stay more active, this caregiver can support your parent in finding the activities they enjoy and that are good for them, provide safe and reliable transportation to these activities, and offer encouragement and assistance to ensure they can get the benefits of their exercise while also staying safe and healthy.